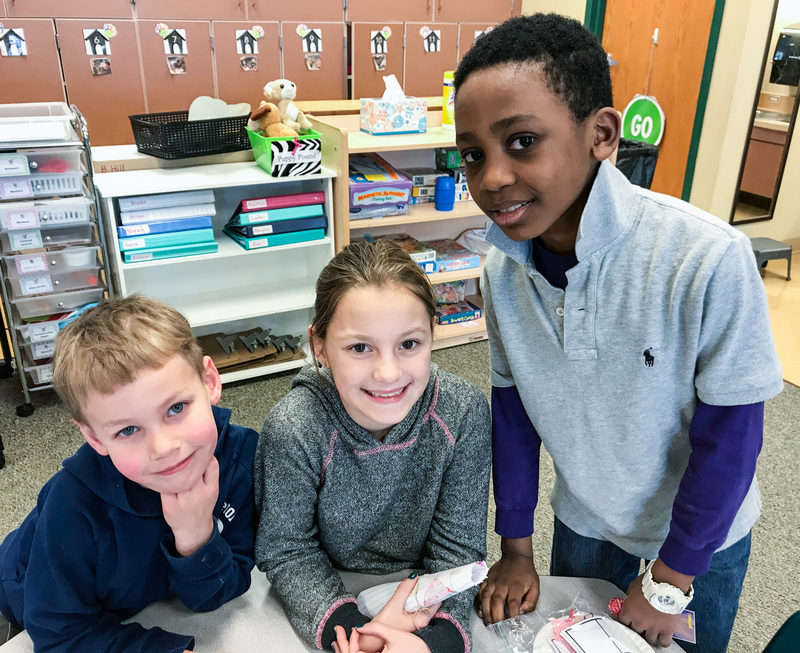 “Can you come help?” As the third graders streamed into her classroom, elementary art teacher, Mrs. Kim Bergey began separating pages from yesterday’s news. Like a well-oiled machine, the obliging students sprang into action, pulling sheets of newspaper to provide a protective barrier before paint was dispensed for the project of the day. The class had already been trained in the basics of print making, so they got right to work. Interesting architecture from around the world had been previously chosen and carefully drawn by the students. Mia chose St. Basil’s Cathedral in Moscow. Drew was working on his drawing of a Spanish building he admires. Oversized leftover 5K shirts provide perfect coverage on particularly messy days in art class. At least two Empire State Buildings were spotted, as well. This is Taelyn’s print of the Leaning Tower of Pisa. Taking advantage of Mrs. Bergey’s offer of color mixing, Taelyn has opted for a two-tone presentation. Who could ever have imagined that destabilization via shifting soil would produce such an iconic landmark? Print making has been around since AD 105 and from the looks of it, brayers will be rolling well into the future. At least for these enthusiastic 3rd grade students! They say you can fix almost anything with duct tape. Who knew it could also bring comfort to refugees in places like Iraq and Ukraine? Why did the chicken cross Godshall Road? Because the Mennonite Grapevine was clucking with the news that we’ve got some feathered friends on the EC-8 Campus of Dock Mennonite Academy! As part of a Design & Technology project, Mr. Nathaniel Freed encouraged students to meet with teachers, inquiring if they had any any construction needs for their classrooms or the school. 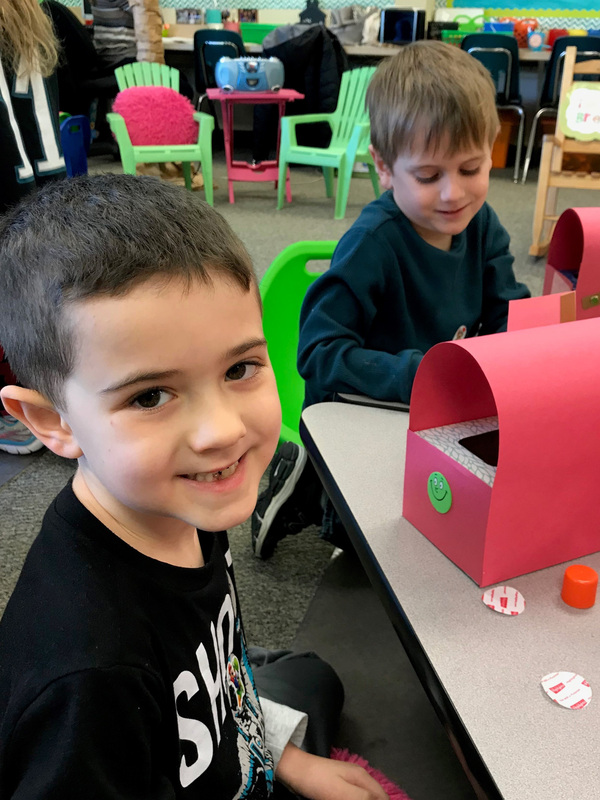 It turned out, science teacher, Ms. Ann Detweiler had just begun to seek approval for a classroom project working with chickens. The timing was perfect! One of the five D&T projects in the eighth-grade class is a chicken coop, constructed by three of our enterprising students, Eli Alderfer, Trey Leatherman, and Blake Yoder. They are doing an amazing job! The coop is still in progress, with construction taking place even on the snowy days in January and February. Student Ivan Dean has a mother who conveniently works at Moyer’s Chicks, so a Chick Connection was made. On January 4th, the eggs went into the incubator. For the following two weeks, 6th grade students watched the eggs for activity and sketched images depicting developmental progress. By January 23rd, four chicks had effectively departed their shells and entered the bustling classroom schedule. Names for the fluff-balls were assigned by very eager students. We’ve now got Big Bird, Dumpling, Gerald, and of course, Drumstick…. Let’s be honest, Drumstick represents some cringeworthy foreshadowing to the butcher lesson which is likely imminent. Ms. Detweiler’s homeroom students take care of cleaning the brooder and visiting with the chicks each day prior to classes and just before dismissal. The students jockey for position, each one hoping for time to connect with the fluffy classroom visitors. Shhhhhh.... Don't tell the well-adored chicks, but future plans include a cookout with eggs and chicken as well as some fertilized eggs for another round of incubation. GAME SHOW FOR THE WIN! Five days before Thanksgiving, an epic competition went down in Old City, Philadelphia. Despite Dock’s strong history of athletic excellence, this showdown had nothing to do with soccer balls or drafty metal bleachers. There were "uniforms"…in a way. And all the contestants were basically playing for the same team. Let’s go back to the beginning. Close to fifty members of the Dock school community gathered together in the chilly Saturday morning air as dawn was cracking. Brand new school sweatshirts were distributed and vehicles were loaded. The group was an unusual mix of students, teachers, parents, and staff members. The Philadelphia skyline was just waking up when three Dock sprinters and several cars rolled into the city. Some of us even got to “run” in the half-marathon (where running means briskly propelling oneself across the street while dodging the forward momentum of the actual athletes)! All of our drivers managed to find alternate parking spots and still get to the taping on time. Yes…taping! For you see, our agenda for the day was to represent our school in a little bit of friendly on-air competition. The game show in which we participated is called, The ClassH-Room. This is a trivia-based game show for teachers and students in grades 7-12. Each episode features students and teachers from the same school, competing against each other to try to win funds for their chosen charities. The show can be watched weekdays at noon and just began airing in October. Upon arrival, we were divided into categories and sent to our respective entrances where we were soon subjected to all manner of security procedure. The contestants went one way…the spectators, another. while we waited on the street. Those of us in the live audience probably got to see lots more as the contestants were sequestered in a waiting room until their turn on camera. One of the most fun parts of our day? Meeting the host, Richard Curtis. You may remember him as the Souderton Area High School technology teacher who found himself in the national spotlight when he won the “Live! With Kelly” co-host competition. His genuinely engaging demeanor and quick wit make him perfect for this new television role. He immediately put our 12 contestants at ease and it was rather amazing to realize he hasn’t been doing this for decades. He’s that good.. It was also rather amusing to see him popping out after changing his outfit THREE TIMES in the course of the taping. We had two student teams (one high school, one middle school) and two teachers teams for the taping. Three total shows were taped while we were in the studio, two of them with contestants from Dock Mennonite Academy. Our devoted mascot, Christopher the Pioneer, was in attendance. Though he tries really hard to win one over with his rather intense grin, Christopher is the kind of fellow one does not want to be seated behind in a theater. His hat alone completely obstructs the vision of anyone seated in the unfortunate rows to the rear! But what our pioneer lacked in audience-friendly size, he more than made up for as he bebopped his way into the hearts of everyone in attendance during the catchy between-scene musical interludes. Well…that…and the way he brought the school spirit while eyeing Dock’s brave competitors through his trusty looking glass. What a guy. The inconvenience of carrying Christopher’s very bulky head in a bright blue sack over blocks and blocks of Philadelphia pedestrian sidewalks…well, that’s a story for another day. Thank you, Mr. Doug Hackman, for your service to school spirit! First up at the show taping was our high school crew. 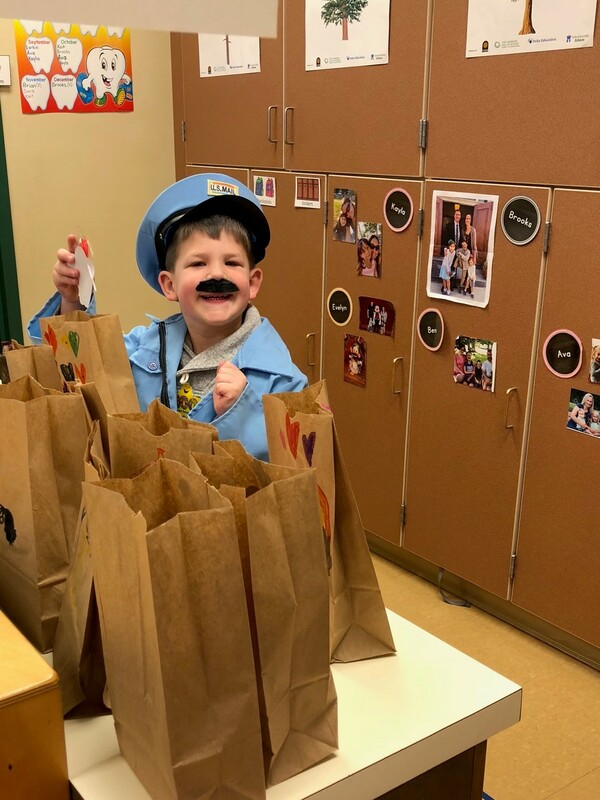 Louis Cocco, Nicole Ford and Sydney Leaman represented the students while Mr. Ron Hertzler, Mrs. Kathy Kennel, and Mrs. Kellena Smith made the faculty look good. We were so proud of them all. There is a portion of the program where team members are given the opportunity to send someone from the other team to “Detention.” No sooner did science teacher, Mrs. Smith get sent on her way…the first chemistry question was posed. The timing was wonderful. For the students…. Our middle school team consisted of Marlyse Giesbrecht, Haley Harper, and Simon Hershberger. During contestant introductions, Simon had the opportunity to show his brand new Abraham Lincoln socks to the entire viewing world. Representing middle school teachers: Mrs. Kaci Hunsberger and Mrs. Claire Wanamaker. Director of Marketing, Mrs. Kathy Gordon, was the pinch-hitter for a teacher who was ill and could not make it to the taping. Despite her non-faculty status, a math question involving fractions did not scare her off! Perhaps the most remarkable thing about watching the middle school portion of the game was the AMAZINGLY impressive spell-off our teachers and students managed. If the lengthy volley of correctly-spelled words is any indication, our spelling curriculum is ON POINT! We are not allowed to tell you who won (YET!) but the middle school game came down to a thrilling tie score of 320 points and the winning answer was related to the book title, The New Moon! We loved the expression on the face of the person giving the correct answer! After the taping, a short walk down Market Street fit the bill for those craving a Philly cheesesteak. We walked a wide perimeter to avoid some demonstrations in the city and returned safely to our waiting vehicles. As soon as we are notified of the dates our Dock shows will air, we will share that information so you can set your recording devices and pop yourselves a bowl of popcorn! Our chosen charities, Keystone Opportunity Center (for the students) and Mennonite Disaster Service (for the teachers) will have to wait for the exciting results with everyone else! It was a great day for the students and teachers of Dock Mennonite Academy. Autumn. A time for crisp mornings, gorgeous skies, crunchy leaves, and let’s be frank…a little too much pumpkin-spice. 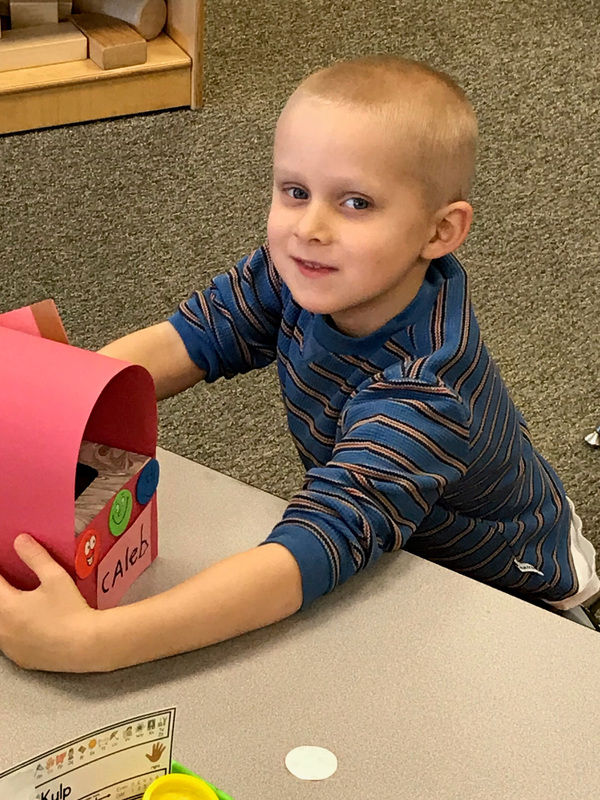 At the EC-8 Campus of Dock Mennonite Academy, it’s also a time for fun learning in our Early Childhood Department. Daylight is becoming a shortened commodity and the small friends in our Early Childhood Department are enjoying the season. On Monday, a leaf hunt was the highlight of the afternoon. When Mrs. Nelson announced there was to be a hunt, one of the students was dubious. “I’m not a good finder!” But reassurances were given...and coats, hats, and gloves were donned. Small feet lined up for the excursion. Everyone was excited as they made their way out to the nature trail next to the school. The children were full of advice for me. To say the hunt was slim pickings would be an understatement! The unusually generous rains this year have made for moist soil and a very late fall color season. There was LOTS of green, requiring the children to diligently search to find anything of color to add to their special sorting bags. The morning after, it was time to see what goes on inside a pumpkin. In preparation, Mrs. Nelson read The Bumpy Little Pumpkin to her class. It never ceases to amaze me how all those small bottoms stay so nicely pinned to the squares on the carpet during story time. The children were so excited about getting their hands into that pumpkin. Mrs. Gerta cut the tops off the pumpkins for easy access and all was well until a few of the children smelled the odd odor of pumpkin "guts." Noses were pinched and cries of "ewww!" ensued. Once the children felt the slime inside that seasonal gourd, some of them were ALL DONE extracting seeds! The seeds were washed and prepared for baking by the class. This looks like a "stick-up," but really, it was in response to the following request: "Everyone roll up your sleeves!" They were cooperatively showing their teacher when they were ready to start pulling out seeds. 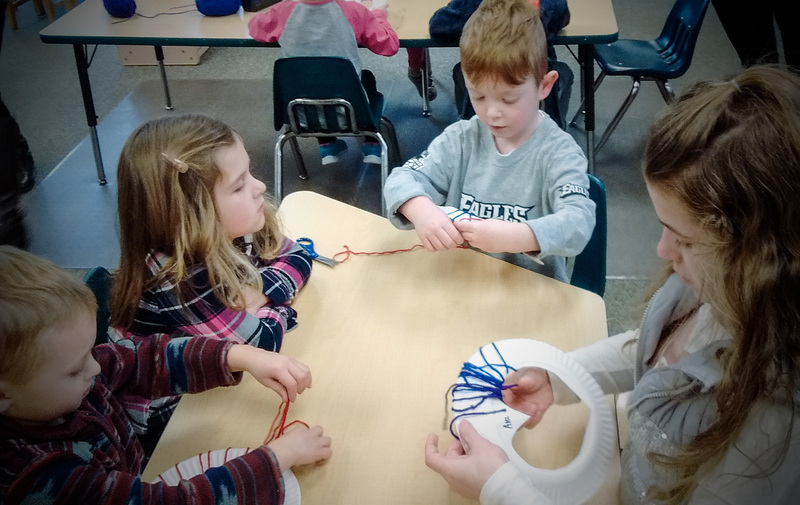 Across the hall, Mrs. Mast’s 4-year old class was making bat hats and pumpkin pancakes with 8th grade buddies. The bat hats were a quick and easy activity. We’re not sure who loves this shared time more. 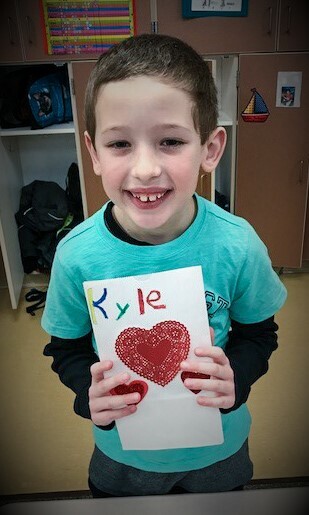 Our little students love their big buddies. But our eighth graders are ecstatic to spend time with "the littles." The pancakes were a hit with lots of small voices chiming in with requests for MORE! Some plate-licking was also unsurprisingly noted! Cooler days and nights are padded with fall fun and Thanksgiving Day is already on approach! It’s a great time of year to remember how thankful we are for these, and all of the faces of Dock Mennonite Academy. 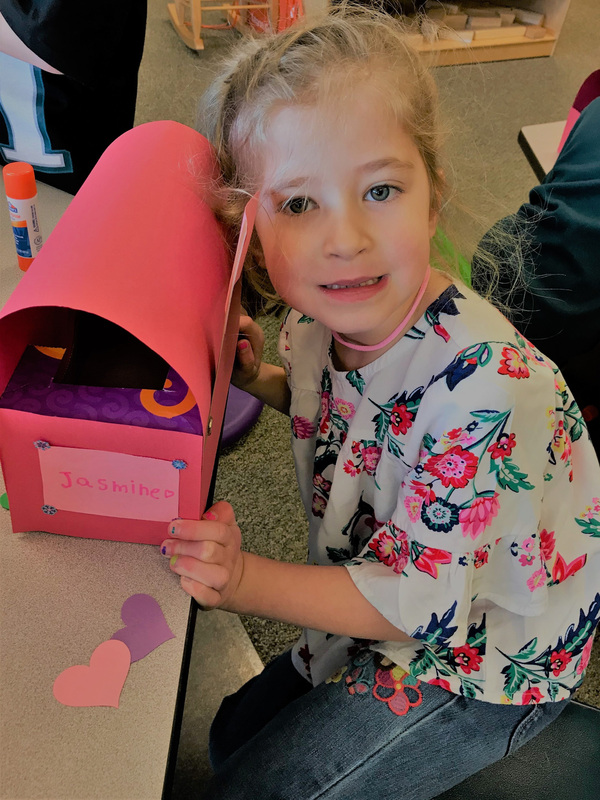 A smile that lights up the room is the first thing you’ll notice upon meeting first grader, Avelynn Myers. Her big eyes and engaging personality are soon obvious, too. What you might not initially know, is that we’ve got an author in our midst! When Avelynn was a bit younger, her thumb was a little too appealing. She found it was difficult to keep that temptation out of her mouth! It became quite a frustration during her kindergarten year. Searching for solutions, Avelynn and her family came upon a pair of gloves made of a material the Myers family calls “mermaid tail fabric.” They thought the gloves might be something fun to keep Avelynn’s thumb out of sight. 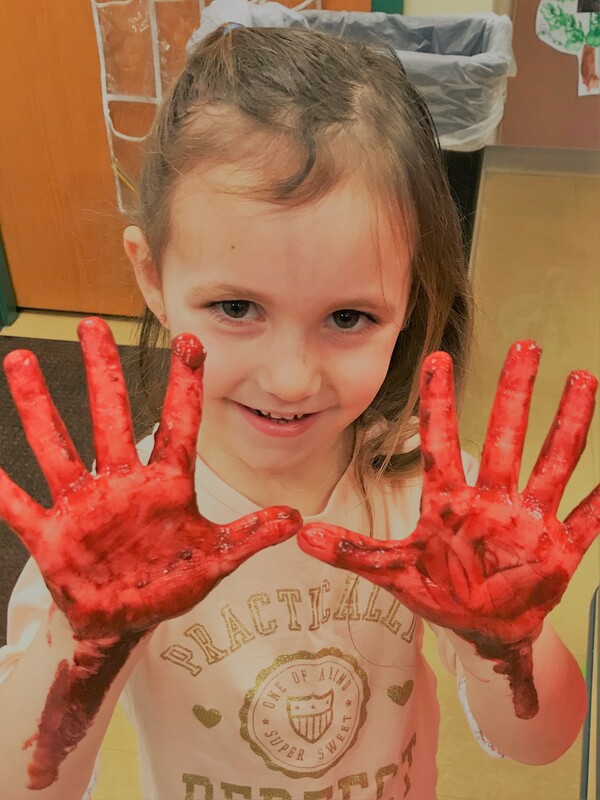 With the help of her trusty gloves, a lot of encouragement from her parents, and not a small supply of resolve, Avelynn tackled the problem! And then she told her mother she wanted to help other kids who experienced the same struggle. 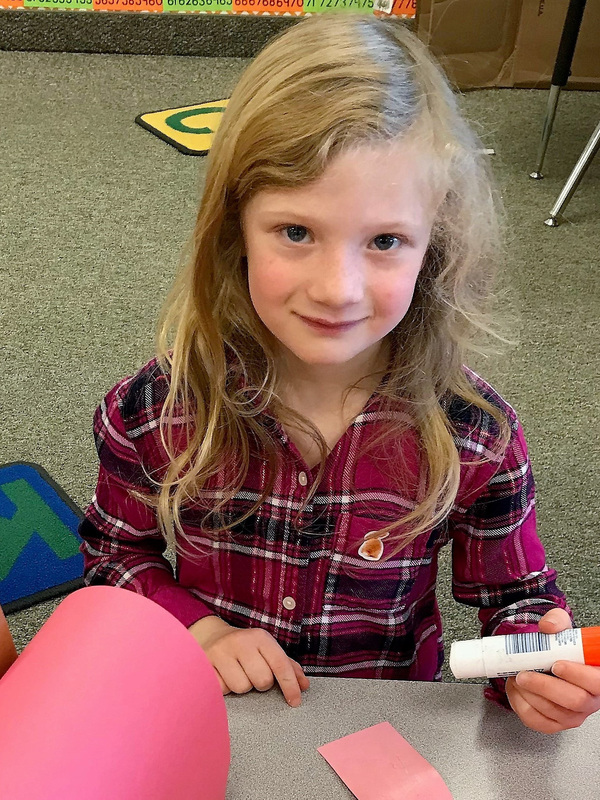 The children in her kindergarten class had been practicing book writing, so Avelynn was pretty excited when her mother suggested they write a book about thumb troubles! In no time at all, our little author put her storyline together. Mom helped with spelling and rhythm. Since Avelynn loves to swim, she knew right away she wanted her protagonist to be a mermaid. She got down to work on some original illustrations. Mom and Avelynn set up the concept using standard Microsoft software, deciding the finished book would be an 8x10 paperback. A little online research helped them to discover the illustrator they wanted to hire for the book. The artist lives in Macedonia, a place Avelynn soon found on a map. The cost involved with producing a book was part of the learning process too. The family started a file to keep track of expenses, so their young author would have no illusions about the costs involved with creatively authoring a book. Avelynn’s parents did not have any experience in publishing, so more research was in order. They chose a “print on demand” company for their project. They learned a lot about page bleeds and margins. As is true with anything worth doing well, there was a lot of trial and error!! Final steps included the proofing process and learning about copyrights to protect the hard work Avelynn, her illustrator (and her mother!) invested. 25 copies of the book were ordered for Avelynn’s first supply and the box was a much-anticipated delivery at the Myers’ residence! The book can be found and purchased on Amazon. In fact, the book was a #1 New Release on Amazon in its category! What a productive way to spend some summertime hours. We are so very proud of you, Avelynn! In the coming weeks, young readers will have the opportunity to borrow the book, Isadora! : Take That Thumb Out of Your Mouth from the Dock Mennonite Academy EC-8 Library. A little kindness goes a long way. So there’s no telling the distance a big kindness like this could travel. 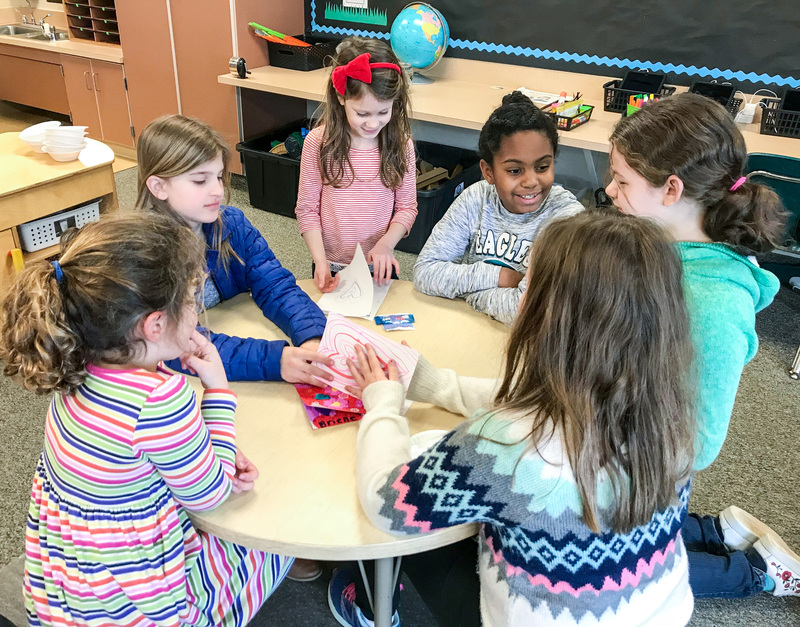 Early this school year, Mrs. Kelly Kratz’s fifth grade students began brainstorming ways to combat recess loneliness. They didn’t just sit on their idea to see what would hatch. They pursued their cause with determination! Younger children were surveyed, a letter was written to administration, and parallel biblical concepts of a welcoming community were drawn. A presentation was given in chapel where the students told the story of the Good Samaritan in a new way. 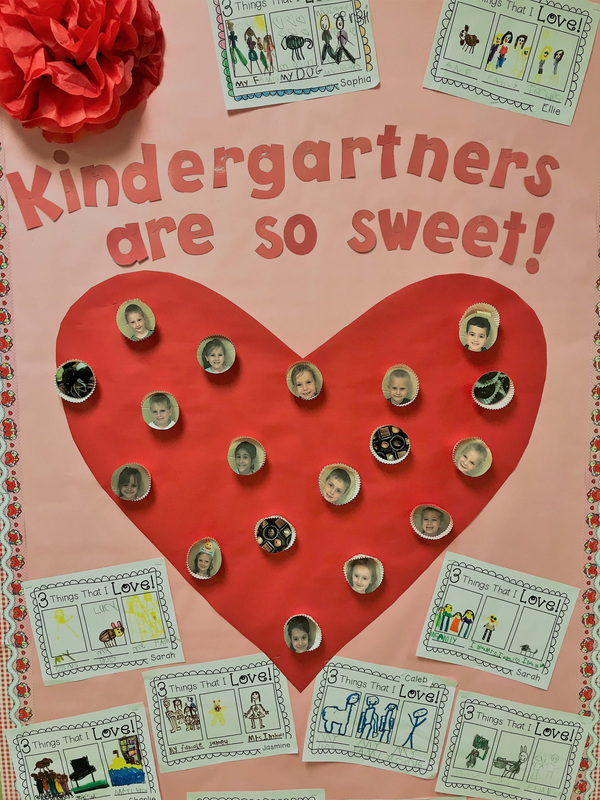 A bulletin board was created, the focus of which was to spot kindness in others and to keep lifting one another up. The final goal of the project was to add a “Buddy Bench” to the elementary playground. If a student is feeling lonely, that student could take a seat on the bench. 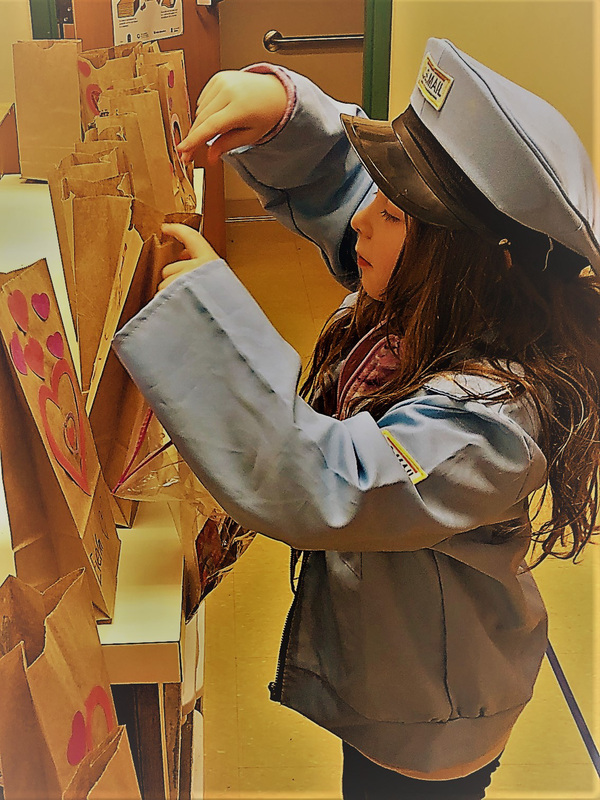 When other students notice, the hope is that surrounding students will try to include that person in play. As energy for the project continued to build, a presentation was prepared by the students for a select group of potential donors. I spoke with one of the donors immediately after the lunch meeting. My friend, Dorothy was very impressed by the earnest student presentations. She noted that the children were so engaged in their quest to be servants, one of them even chivalrously offered to return her lunch tray the split second she finished eating! The bench project provided a wonderful way for two generations to come together. I love to think of these ten and eleven-year-olds demonstrating so visibly their profound passion for compassion. The unconstructed bench arrived on campus in a large flat cardboard box on May 8th. The FedEx delivery truck pulled in just as the last of the buses were pulling out. Mrs. Kratz’s fifth grade class was hoping to meet the truck on delivery day, so the dismissal hour timing was not ideal! 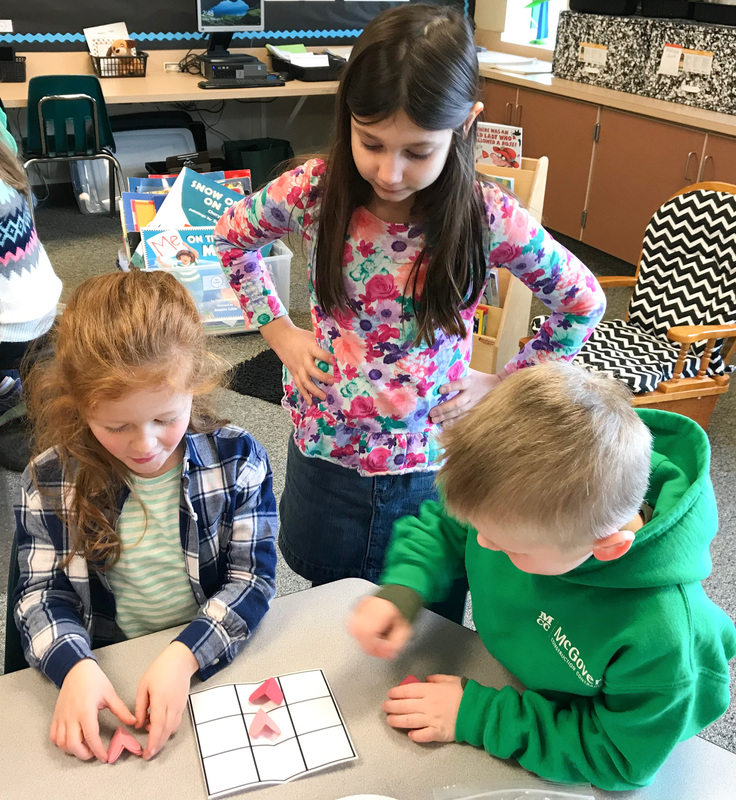 Fortunately, a handful of the students were still on campus for “Dock Girls Run” (an afterschool running club) and “24 Club” (an interactive afterschool math game). 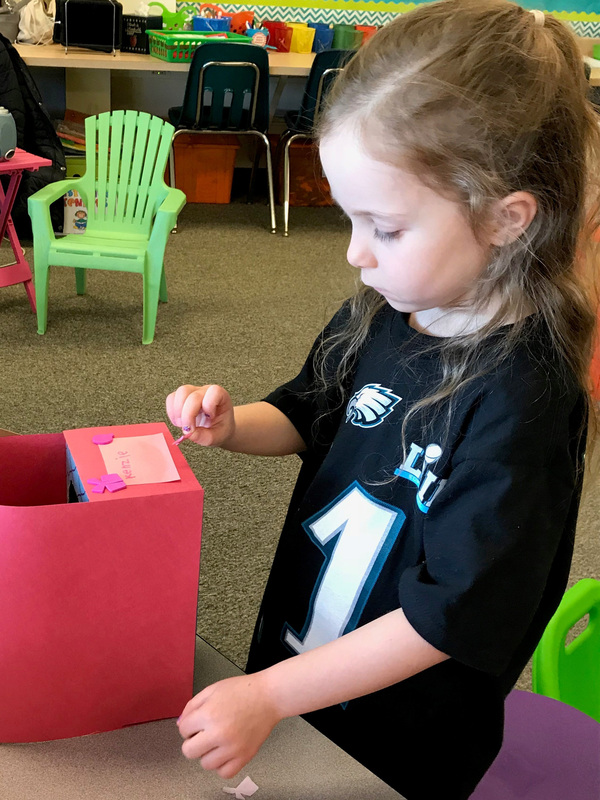 Since most of the students missed the bench delivery, the entire class participated in a box signing the following day. Assembly and bench decoration were next on the agenda. This part was a lot of fun for the creative souls in the group! It was a beautiful day when the students began painting primer on the waiting boards. Despite careful instruction about tapping the brush on the can...primer painting did not happen without lots of dripping. These two were the muscles behind the drying dock! Mrs. Kratz sharing some helpful tips for "painting while outside." The painters were listening but trying not to be blinded by the sun as it had been a FULL WEEK of clouds and rain prior to this lovely painting day! Close proximity to the elementary playground makes signs quite necessary! Drying primer paint is serious business! and the base coat. What a great way for them to feel included. coming years. A memorable shared experience for our elementary and EC students! It was so inspiring to listen to the fifth graders taking leadership of their project and helping the smaller students with painting and instructions. The photo below shows fifth grader, Seth, giving encouraging instructions to the first graders and reminding them of the importance of the buddy bench. Concentrating on keeping the paint within the circle! To say Mrs. Kratz is ALL IN on this project with her students would be an extreme understatement! Some of our friends from the 4 year old class. Once the creative embellishments are dry and the pieces are assembled, the bench will be carefully positioned on the Elementary Playground. Alongside our industrious fifth grade students, we have great hopes for Dock’s new Buddy Bench. May it be a wonderful tool for fostering new friendships and inspiring creative acts of kindness for many years to come. BAMBOO. It's Not Just for Pandas! Our fourth graders are embarking on a creative journey in art class. They are working on some beautiful Chinese-inspired art. An underlay of pastel watercolor paints is being carefully applied to plain paper. This background sets the stage for original India ink designs and careful placement of Chinese symbols. Lovely Liliana is especially excited about this project. As one of our current Chinese-born students, it is special for her to enjoy an artistic and cultural connection. Mrs. Bergey’s sample piece includes a tree and the Chinese symbol for peace. You'll notice most of the students are wearing matching shirts in these photos. Some adult-sized 5K t-shirts from a past school event transform perfectly into protective smocks for small artists. The smocks came in handy for this project. Mrs. Bergey enlightened her students with some great laundry advice. "India ink is the blackest ink you can buy. It stains LIKE CRAZY!" 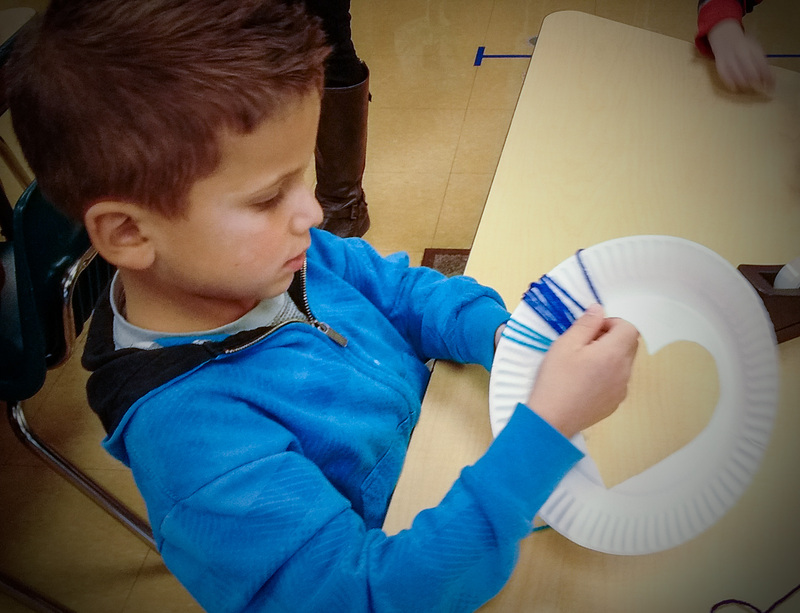 The students enjoyed handling a Chinese art kit, a loan from one of our kindergarten teachers. Years ago, Ms. Price taught at a school located in Zhejiang Province, China! At the posting of this blog, the student's Chinese-inspired watercolors are still in progress. Most of the students are working at finishing up paint and/or underlying pencil drawings. A few of the speedy ones have already applied ink! I enjoy the way Mrs. Bergey interacts with her students. Aysia's background color is ready to go! After a long day of coaxing artistic energy from young spirited students, one might imagine an elementary art teacher goes home at a reasonable hour and slips into a pair of fuzzy slippers. In lieu of slippers, Mrs. Bergey sets off on school related expeditions! For this particular project, the expedition involved searching out and physically gathering bamboo for her students. Rumor has it, our devoted art teacher spent hours determinedly chopping away at the resilient stalks. She had dual motives for this imaginative scheme. Bamboo “quills” serve as the actual writing tool for her students. Touching the staining black ink to contrast the waiting colors on the page is an authentic way to form the Chinese symbols. Stubborn lengths of bamboo are also used in this project as ingenious bars to hold the finished artwork for display. Above and beyond…Mrs. Bergey! Above and beyond. "The most destructive experience the inhabitants of this island have ever seen." No one who lives in Puerto Rico will ever forget the night of September 19, 2017. That's when Hurricane Maria ravaged the island and left most of it in shambles. Power went out on the entire island. There was no clean water. Many no longer had a roof over their heads. In the six months since the storm, Mennonite churches, schools, and relief agencies have worked together to restore hope. Now, Dock is asking you to help, too. On Tuesday, March 20, from 6:30 to 8:00 p.m., we invite you to come to the EC-Grade 8 Campus as we try to ease the burden experienced by our brothers and sisters because of this storm, and help them get back on their feet. Specifically, our goal is to raise a total of $10,000 this school year to rebuild, re-stock, and re-supply our sister school in Puerto Rico, Academia Menonita Betania. Our students held a couple of fundraisers back in the fall to get the relief effort off the ground, and we have already raised a little over $3,000—leaving us $7,000 short of our goal. While we don't necessarily expect to raise that much in one night (it's OK if we do! ), we want to put a serious dent in our goal. Will you please join us? Read a first-hand account of the devastation at Academia Menonita Betania from school superintendent Alex Gonzalez in The Mennonite (above). Watch students run through the halls cheering when the power came back on at their school (below). Our Partnering with Puerto Rico Family Fun Night will have something FUN for everyone. Learn how to salsa dance, sample Puerto Rican food, and lots more! We hope you will join us for a fun evening, raising money for a great cause. Visit our Partnering with Puerto Rico web page to learn more. I am a fan of “giving” holidays, but let’s be honest. Valentine’s Day is rather odd. 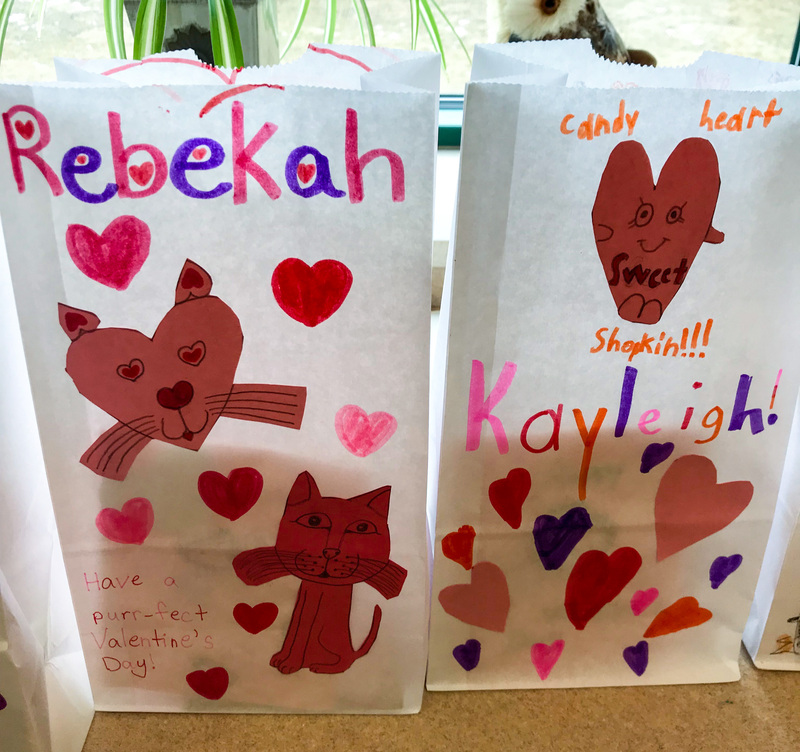 When I was a student, there was not much I enjoyed more than spending hours at my kitchen table preparing homemade construction paper and lace valentines for the boys and girls in my class. Chunky paste piles and careful penmanship (formed on the edge of my ruler) were important parts of the equation. 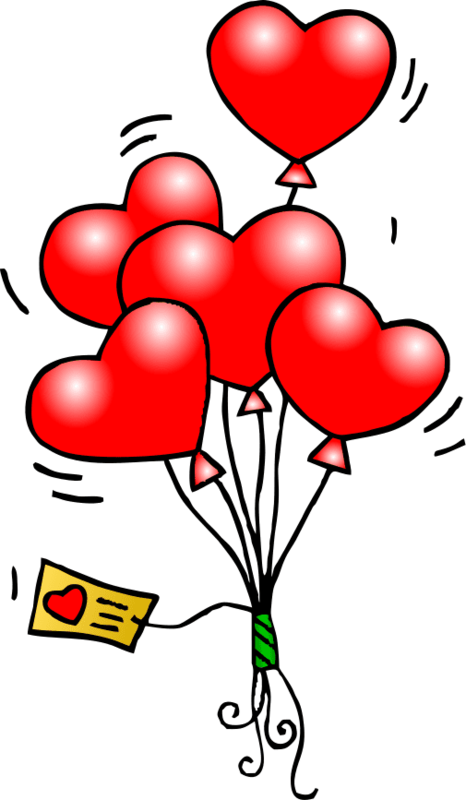 Some years later, a box of store-bought valentines filled the bill. But not without stress! Deciding which girl should receive the tiny colorful “best friends” Minnie Mouse card was almost as dicey as determining which of the cootie-laden boys was worthy of a signed cheesy request from Mickey Mouse and me. Asking a random classroom boy to “be mine” was the stuff of nightmares; an utterly nerve-wracking enterprise. 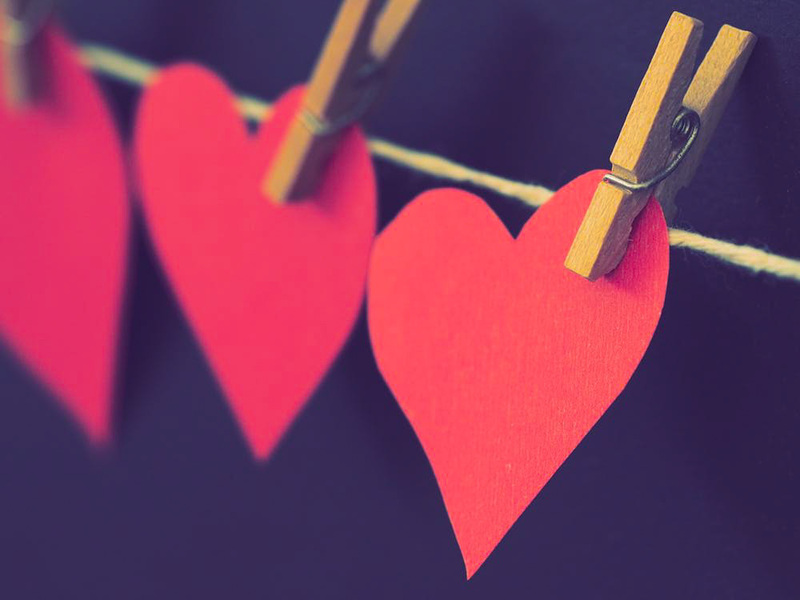 Two to three decades later, my own children entered Cupid's favorite fray. Valentine cards had evolved into a Superhero folded version of their predecessors. These colorful paper mandates all but shouted the sender’s wishes, forcefully pressing recipients to HAVE FUN OR ELSE! It was almost impossible to find cards offering gentle suggestion. The mid-90s was a time of insistence, the message of children’s valentine cards peppered with at least one exclamation point! And here we are in 2018, having strayed into a ritual where almost every folded valentine’s command includes a sample of unnecessary tooth-decaying indulgence. Ingredient lists are weighed down by sugar, artificial dyes, and preservatives with names like supercalifragilisticexpialidocious. If the dental assault is not sufficient, Valentine’s Day paraphernalia appears on store shelves the day after Christmas, shoving the traditions of this formerly sentimental holiday fully into the commercialized realm. by the overzealous marketing of your local Stuff-Mart. 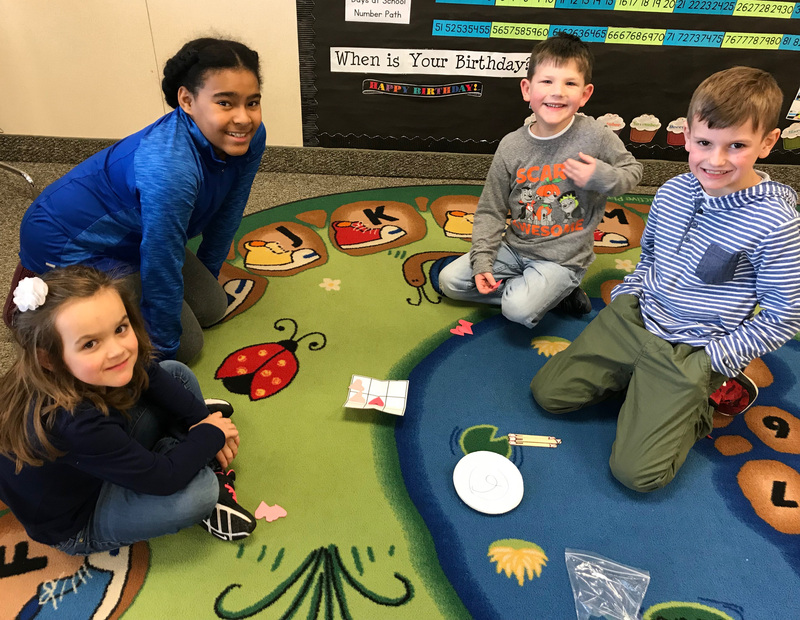 The third graders from Miss Slemmer's class joined with Mrs. Quirk's kindergartners on Friday afternoon for some Valentine's Book Box Buddies time. The bonding of different age groups is something Dock Mennonite Academy does really well. Older children and younger children LOVE spending time together. 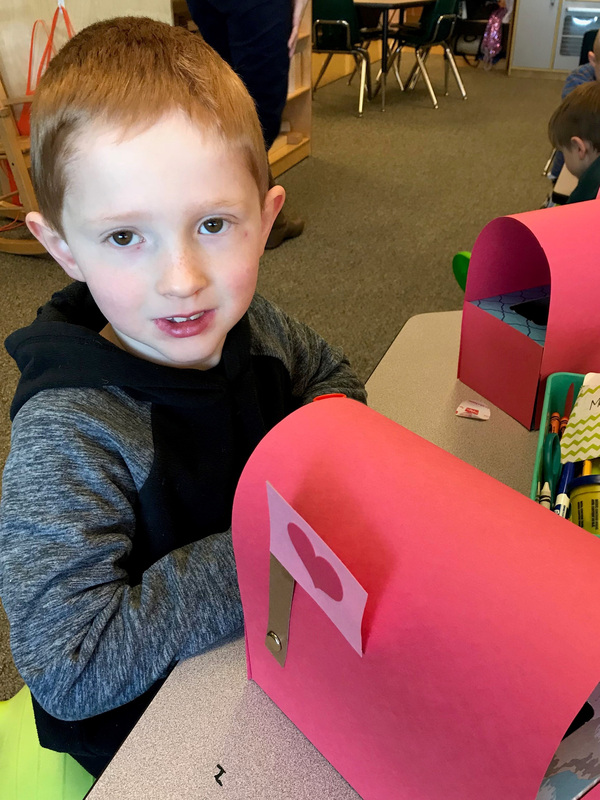 mailboxes are arranged in classrooms with care. Anticipation grows as finished cards are dropped covertly into the waiting containers! When the day finally arrives, the ritual of dumping the contents of one’s mailbox for inspection is one of the mountaintop moments of childhood! and the kindness of one’s peers. This is the part that makes all the rest of it worthwhile! For most seniors, the end of their high school experience brings a mix of strong emotions, ranging from joy to anticipation to anxiety. Important questions and difficult decisions await answers. What's next? What college should I attend? What should I major in? What careers interest me? At the end of semester one, Dock provides a week in seniors' schedules to help them work at the answers to these questions. As a component of the senior-level Bible class called Kingdom Living, students develop a proposal for a week-long independent project. This project can involve job shadowing or service, or some combination of the two. These experiences can take place locally, across the country, or halfway around the globe. Wherever they go and whatever they decide to do, students are required to keep a journal of their experience. The quote (above) from Ella Barlick's journal from two years ago is indicative of the value students place on this Senior Experience. For students who choose to primarily job shadow, Senior Experience can affirm a college major or career path—or perhaps rule one out. For those who choose service, the experience is often an eye-opening introduction to the way people live in other cultures, and helps develop a passion for serving others that often lasts a lifetime. At the end of Senior Experience week, seniors spend two days in a retreat setting to reconnect, fellowship, and reflect on their service/job shadowing experiences. Middle School Student Council representatives met for lunch one day, way back when the mid-October temperatures were pretending it was still summertime and the trees were still holding tight to most of their leaves. The discussion at hand was the annual Christmas parade. Students, advisors, and Kathy Gordon began brainstorming ideas for this year’s school float. Between bites lifted from their green plastic lunch trays and home packed baggies of PBJs, the suggestions were coming fast and furious. Some proposals were offered humbly and softly. Other ideas spewed forth with great enthusiasm, highlighted by the percussive sounds of crunching Doritos. Simon was pretty sure camels should be involved. The long-held tradition of throwing candy soon turned to deliberation on collecting contributions that might help others in need. The idea of gathering diapers for families without means was floated. (Pitiful pun intended). Oh boy. I’m not sure how our unsuspecting athletic director got involved, but the conversation was thankfully and deftly guided back to the general parade theme of “silver and gold” by Mrs. Wanamaker. One month later, we were back to handing out something sweet. An afterschool meeting was held for the assembly of chocolate bags. Student Council representatives joined forces with the little people of our afterschool program (Penn’s Pals). It was an inspiring dovetailing of ambitious early teens and their adorably eager counterparts. As boxes of supplies were unpacked, some of the older boys were captivated to discover large swaths of bubble wrap. Mrs. Kotecki put a quick halt to the misappropriation of what appeared to be her preferred antistressor. 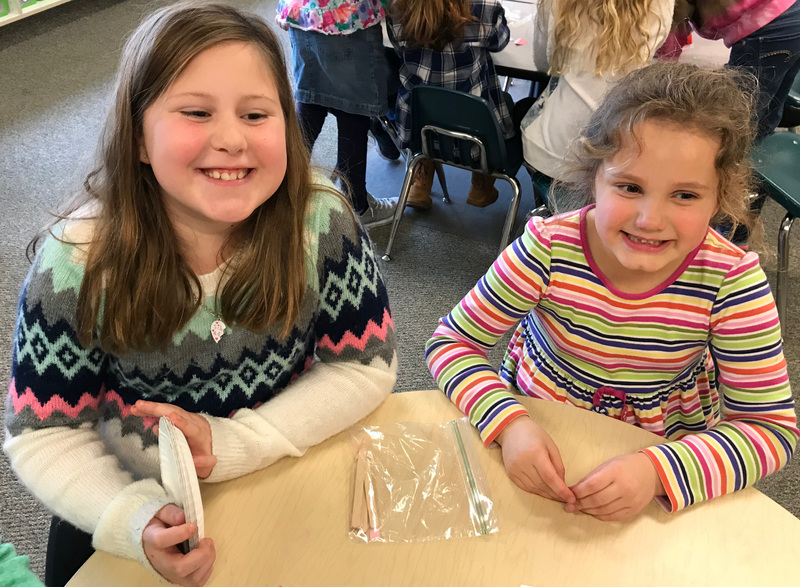 A certain number of gold and silver Hershey’s kisses were counted and sealed in a baggie with a message containing school information and Christmas greetings. The chocolate scent in the room was overpowering. “Imagine the torture of working in a chocolate factory all day,” mused one of the students. Dr. Swartzentruber stopped by and named the energetic scene. “It looks like a party in here!” He was absolutely correct. But one of the smallest candy-counters took issue with the comment, viewing his important task in a much more serious light. With the oldest students manning the staplers, the work was completed cheerfully and effectively. Parade preparations for float décor continued at subsequent student council meetings. Parade day loomed, and the forecast called for partly cloudy skies and a whopping HIGH temperature of 48 degrees. Those new Christmas sweatshirts would come in handy, adding another layer of warmth for the riders and walkers representing our school. Despite discouraging temperature predictions, the sun was shining beautifully on the morning of the parade. The crowds and parade participants were jubilant with Christmas cheer! Our energetic banner holders, Miles and Ryan were more than ready to go! To the casual onlooker, it appeared for all the world that they'd each consumed a gallon of coffee before arrival. Note the hilariously dispassionate expressions of their female counterparts. Girl’s basketball coach and former Dock parent, Jim Rittenhouse arrived in his shiny red sleigh to pull the float. His sleigh was the color of a perfect candy apple and maybe it was really a shiny red truck…. The initial curbside throng was so thick, our student elves ran out of Hershey’s kisses before the last third of the parade route! It was quite a party to ride on the school float, thanks to our "DJ" Ryan Detweiler’s stirring Christmas tunes thumping from the back of the truck and Jayne Longacre who always brings the celebration to a new level! (Seriously, WHO gave that exuberant gal a megaphone)? What a great start to our favorite season and a wonderful way to celebrate God’s indescribable gift to the world. Dock enters the B-101 Christmas Choir Competition! Above: Brad Zabelski of Traveling Tracks listens as Director Emily Grimes leads the Dock Concert Choir in a recording of Cuncti simus (arr. Eric Johnson) for the WBEB 101.1 More-FM Christmas Choir Competition. When is it OK to start listening to Christmas music? Some practically forbid it before the turkey is digested. Others look forward to the first strains of White Christmas as soon as the last trick-or-treater toddles away from the front door. And there are always a few hearty souls who, when the question is put to them, are quick to volunteer that Christmas music suits them just fine all year long. The Dock community had some extra incentive to embrace the musical spirit of Christmas a little earlier than usual this year: for the first time, Dock Mennonite Academy entered the B-101/More FM Christmas Choir Competition! Since it was launched in 2009, the B-101 More FM Choir Competition has quickly become one of the most widely anticipated choral competitions in our region, with dozens of local choirs competing in two divisions, K-8th grade and grades 9-12. We are grateful to both our Middle School and Concert Choirs, as well as their directors, Mrs. Laura Landes and Ms. Emily Grimes, for all of their hard work in practicing and recording their songs (have a listen below!). While Dock was not selected as a finalist in either division this year, we're confident that with choirs as good as ours, and the support of a fantastic school community, it's only a matter of time before we bring home the prize! Because the competition generates such strong interest in the community, Dock chose to advertise on B-101/More FM during the month of December. In fact, our ads were prominently displayed during voting for the K-8th grade division, and the top prize went to a local school, Bridle Path Elementary School in Lansdale. Listen to B-101 and visit the Christmas Choir Competition web site to learn more, and to see our ads. Middle School Choir member Allie Delp pauses during a break in recording. Above: Brad Zabelski of Traveling Tracks (right) confers with Middle School Choir Director Mrs. Laura Landes prior to recording the choir's entry in the More FM Christmas Choir Competition. Next year, perhaps another Lansdale school will win the top prize—Dock Mennonite Academy! A screen shot of Dock ads that appeared on the voting page for B-101.1/More FM's Kindergarten to Grade 8 Choir Competition. "Mary, Where is Your Baby?" Looking at the main courtyard in recent weeks makes me want to sing the Hallelujah Chorus! Despite my indescribable joy, I’ll save you all the agony of hearing my serenade. Over a decade ago, someone carefully considered what plantings should be placed in the courtyards of our new school building. Their vision has blessed us with the opportunity to appreciate various blooms and fruits, continuing to delight us when the seasons change. However, after 14 years, it is fair to say even the best visions need a good caretaker to make sure things are as they were meant to be. Weeds and volunteer plants make their presence known when given the opportunity! Enter John Frankenfield. John was our school’s Director of Development from 1974 to 1986. Sarah Price, one of his lovely twin daughters, is a devoted kindergarten teacher on our EC-8 campus. When John heard there was a need, he made the decision to volunteer his time, adopting a courtyard in need of some TLC. The courtyard face-lift began on a Wednesday as John stood in the courtyard chatting with a family member and imagining how he would tease and tweak the space back to its original orderly beauty. His imagining was interrupted only slightly by the deafening strains of a planned school fire drill. Undaunted by the piercing sound, he considered which items needed removal, which existing plants were due for a haircut, and how many chrysanthemums would be needed to make his plan a reality. On Thursday, he returned with the gorgeous plants he intended to donate. Dressed for the job and with appropriate tools in hand, he coaxed the earth into submission, leaving bunches of perfectly positioned colorful mums in his wake. Friday rolled around, and John was back. This time, he brought friends! Eldon Miller, Wilmer "Wib" Zook and Libbie Derstine were his crew. Mulching was the order of the day, and what a wonderful difference it has made! Eldon and Wib are retired Dock Mennonite Academy teachers, having cumulatively served our high school students for 56 years. Eldon's wife, Gem, continues to teach 1st grade students (right), and if her lovely home garden is any indication, this was not Eldon's first mulching rodeo. Ninth grader Libbie thought she might have at least part of her day off on Friday to relax like most of her classmates. But it was not to be! Her grandfather (John) is apparently as proficient at coercion as he is at gardening. I think I saw the crepe myrtle smiling this morning with all that gorgeous mulch around its feet. Even the birds seemed chatty and thrilled with the makeover of one of their favorite spots. Our students love to spend time in the courtyard. Classroom games, outdoor lunches, seasonal learning and special reading times are all favorite activities in this wonderful space. Ms. Price’s kindergarten students are seen below, checking out the handiwork of their teacher’s father. Libbie thought she might have at least part of her day off on Friday to relax like most of her classmates. But it was not to be! Her grandfather (John) is apparently as proficient at coercion as he is at gardening. There are other reasons our Main Courtyard is a special place. Several plantings in our courtyard honor friends we miss. A columnar oak was planted in remembrance of a wonderful kindergarten teacher, Janice Meyers. Another tree reminds us of beloved math teacher, Karen Nofziger. When the white flowers bloom on her dogwood, it makes us smile. A gorgeous butterfly bush from the high school class of 1991 honors the memories of both Travis Bechtel and Garrick Clemmer, graduates of Penn View. 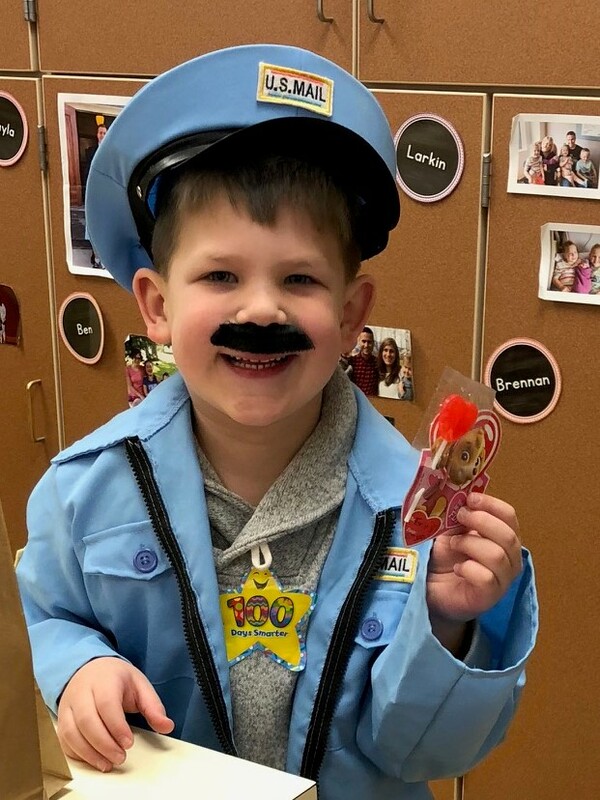 We suspect John Frankenfield would like to fly under the radar (or as Director of Marketing, Kathy Gordon, so aptly phrased it, “Mum’s the word.”) But we who peer through the window each and every school day could not be more appreciative. We didn’t want to miss a chance to give thanks for the generous investment of time, energy, and beautiful flowers. The courtyard renaissance is a truly wonderful gift to our school community.